Think about the times when you had a bad customer service experience. Assuming you have other options, how likely are you to use that company again? The bottom line is, customers who have bad experiences with your call center will likely never use your company again. That’s going to hit your revenue hard. What You Can Do About It: One way you can turn things around is by investing in the right call center software. With predictive dialing, you can provide your agents with the tools they need to be so much more efficient at their jobs. That’s going to kill downtimes and prevent delays, allowing you to route active calls to available agents. Customers hate to wait. Reducing or eliminating waiting times makes it easier for you to get your customer’s experience off on the right foot. You’re not going to receive nearly as many referrals or references if customers aren’t happy with your call center. Why does that matter? Many companies often request for references before they hire your services. If you’re having a difficult time with your current customers, then that’s going to nip any chances of using them as a reference to drum up more business for your call center. That’s a wasted opportunity. 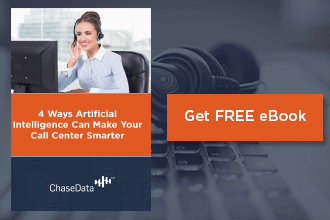 What You Can Do About It: When you use outbound predictive dialer software from ChaseData, though, you can take advantage of its Automatic Call Distributing (ACD) feature, which allows you to connect customers to the right agents every single time. By directing calls to agents who have already handled that customer case in the past, you can get better results. Bad reviews are also another cost of poor customer service. Unhappy customers also post bad reviews, and before you know it, word is starting to spread. The result? Not only will they refuse to use your services, but current or potential customers will also do what they can to ensure other people won’t use your services again. What You Can Do About It: You can take steps to deal with those negative reviews by constantly changing and improving the way you do your business. Mistakes will happen. Expanding your call center business will come with growing pains. But if you remain constant and committed to delivering better customer experience, then that’s going to come through. And that can help drown out the bits of negative reviews with the ton of positive ones you’ll get. What’s important, then, is to just keep improving. Start by investing in a system that can help you manage your call center operations much better. Before you know it, you’ll end up winning old customers back – along with plenty of new ones. These days, people often post feedback on the services they try or products they buy. If your customers found your customer service to be lacking, then they’re going to talk about that to their circle and contact list. That’s going to hurt your call center’s image and make it difficult for you to hit sales targets. What You Can Do About It: Start by giving your agents the tools they need that will allow them to be the best they can be. Stop using old and less effective systems and give them the support they need instead. 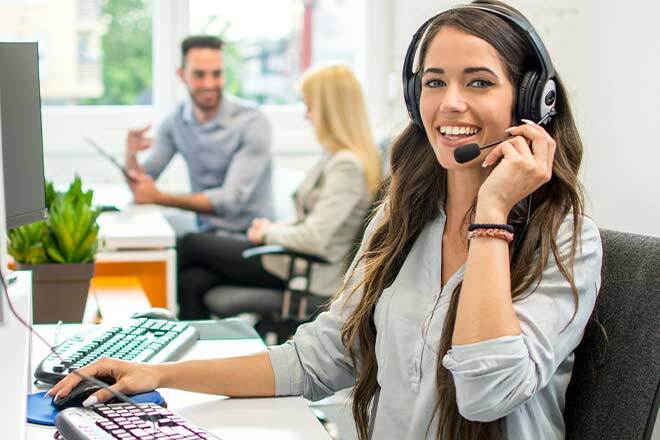 With better call center software, one that’s loaded with features that your agents can use to make the most out of every customer interaction is going to help you overcome negative social media feedback – but it’s going to take a while. And it’s going to take a lot of work. With the right team and tools, you can make that 360-turn. Low sales can effectively demoralize your team, which can lead to lower engagement levels. That’s bad for business. If your team has low morale, then they’re not going to perform at their best. Keep that morale by extending help. What You Can Do About It: With ChaseData’s quality assurance capabilities, you can monitor agent’s calls, identify areas for improvement or provide scripts or help during a call to make sure every customer concern is handled right. By using tools that make coaching easier, you can teach your agents tips and techniques to improve their performance. That’s going to give them their confidence back, allowing them to maximize every contact with your customers. How long does it take your agents to respond to calls and complaints? If you’re using an outdated software system, then chances are, it’s taking too long. Think about it this way: With a better system, you could respond to two calls when in the past, you were only responding to one in that same time frame. What You Can Do About It: Seek out predictive calling features so that your agents won’t need to dial the number themselves, which saves time. Those minutes or seconds may not seem like a lot, but when you add them up, they’re going to amount to considerable time wasted. Your campaigns aren’t going to get anywhere if you have bad customer service that’s being bandied out and talked about everywhere. That’s going to kill your marketing efforts, too. The opposite is true as well. Exceptional customer service can boost your marketing efforts. 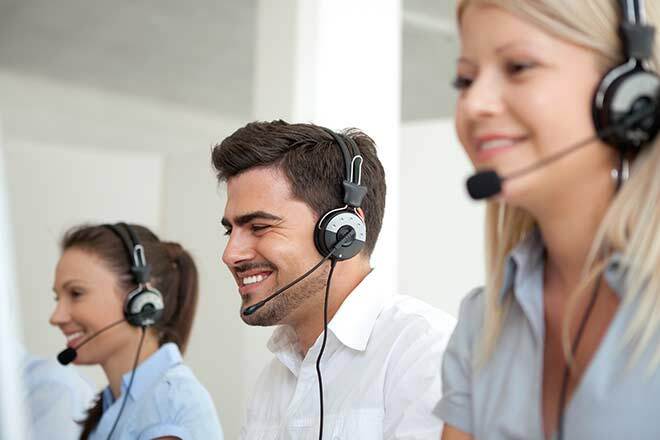 By making your call center customer-centric, happy customers are more likely to laud your customer service and performance, and you’ll end up with more customers who want to try out and use your services. What You Can Do About It: Is it time to retrain your staff? Do you have incentives for high-performing employees? And are your tools to provide customer service outdated? If you answered “yes” to any of the above, then it might be time to rethink your overall strategies. If you’re still using old calling systems, make the switch to ChaseData today. With a suite of features that make it easy for you to roll out better customer service, you can increase sales and productivity. That means meeting -- and even exceeding -- the performance expectations that your customers and your business demand.